The most expensive and lavish epic drama Bahubali part I unveils its trailer at the hands of the ace film maker Karan Johar who is associated with its Hindi version. The trailer offers a cinematic views of lush green natural landscapes as well sublime antique architectures just perfectly right for any grand period drama involving majesty and divinity. The two minute long video clip ensures to fulfill expectations of audiences and fans with its presentation of powerful kingdom and almost godly powerful characterization of protagonists. The trailer suddenly takes twist after beginning with beautiful lush green forests and waterfalls to gory blood shed and war scenes. Traditional weapons are exhibited abundantly with swords, arrows and axes going high in the air. The leading ladies Tamannah and Anushka Shetty look all divinely dressed and beautiful. The trailer also encompasses views of age old temples and royal beasts used at war. The beauty, nature and war walks along throughout the trailer. The film Bahubali is said to be one of the most expensive motion picture of India. Moreover it is also expected to excel at par with great hollywood war movies like 300 and Gladiator. The film is said to be planned out with an approximate budget of not less than Rs. 160 crore out of which Rs. 40 is just spent on creating digital imagery and special effects. Well, his earlier films Eega and Magadhera have won the National Awards for best special effects and with Bahubali, Rajamouli seems to go few steps further. The film promises to be one of the Magnaum Opus of Indian Cinema. The director S S Rajamouli earned his fame in Bollywood with ‘Eega’ (Tamil) which was made in hindi as ‘Makkhi’. Bahubali is his most ambitious project based in 8th century AD. The movie will feature Prabhas in the lead role. Rana Dagubbati will also be seen in this film. Rajamouli is quite ambitious about the project and wants to release it in three different languages-Hindi, Tamil and Telugu. Bahubali is expected to be at par with Hollywood projects like Gladiator and 300. Bahubali is an upcoming Indian epic film to be released in two parts in Telugu, Tamil and Hindi languages. The Hindi Version has been collaborated with Karan Johar. The film will also be released in Malayalam, English and French. Bahubali is depiction of a grand period war drama focusing a war between two brothers named Baahubali and Bhalla Deva. Prabhas and Rana Dagubutti are essaying these lead roles. 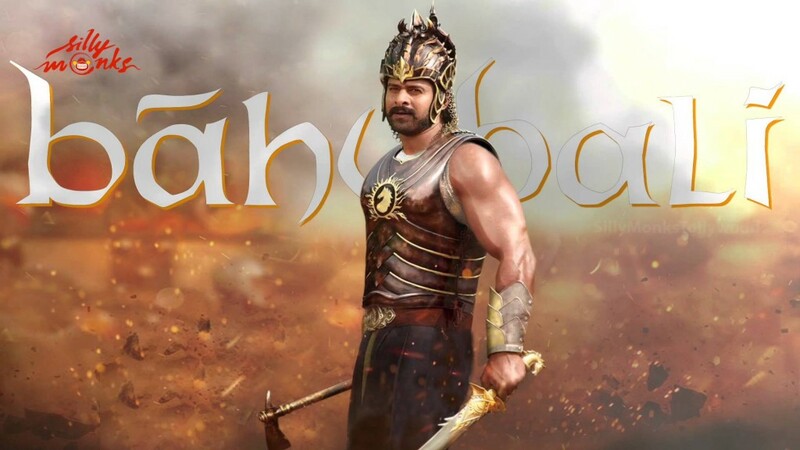 The film is directed by Rajamouli and stars Prabhas, Rana Daggubati, Anushka Shetty and Tamannaah in main roles. The film also casts Ramya Krishnan, Sathyaraj, Adivi Sesh, Tanikella Bharani, Nassar and Sudeep. Anushka Shetty and Rana Daggubati. Prabhas and Rana play the roles of two brothers at war. The film will be released over the big screens on 10th of July 2015. The film has created lots of buzz well before its release. It has also been included in BBC Documentary on 100 years of cinema and is predicted to acquire a cult status in Indian cinema. The trailer promises the film to be a grand larger than life portrayal of the epic drama. It captures all divinity as well as pompousness of the age old temples, wars and kingdoms. With the trailer of the first part so endearing and interesting among viewers, film’s second part will be soon released by the producers.